Photo of the Day: Kermit the Frog? 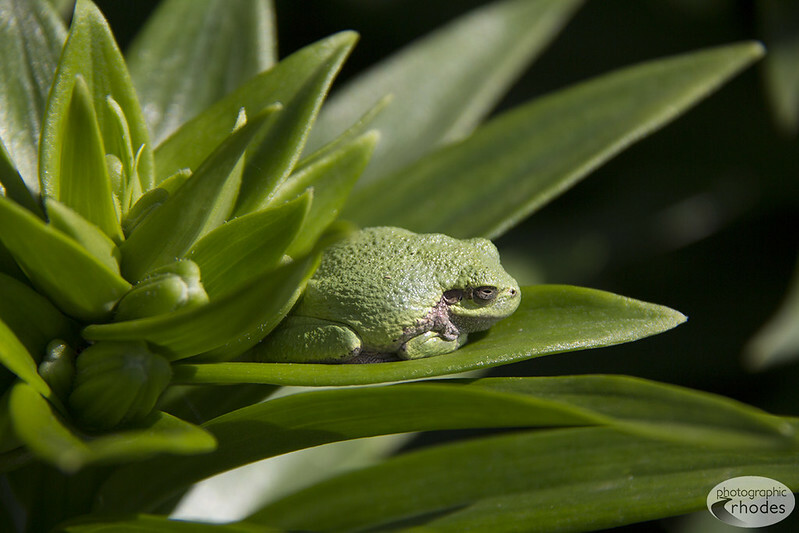 My husband spotted this adorable little frog on a plant at Powell Gardens a couple of days ago. A lovely little frog! I love its expression too! His expression is great, isn’t it? Stunning photos!! I love frogs and this one looks happy just chilling in his little hiding spot! I think this frog looks so cute on its green plant and sunning away!